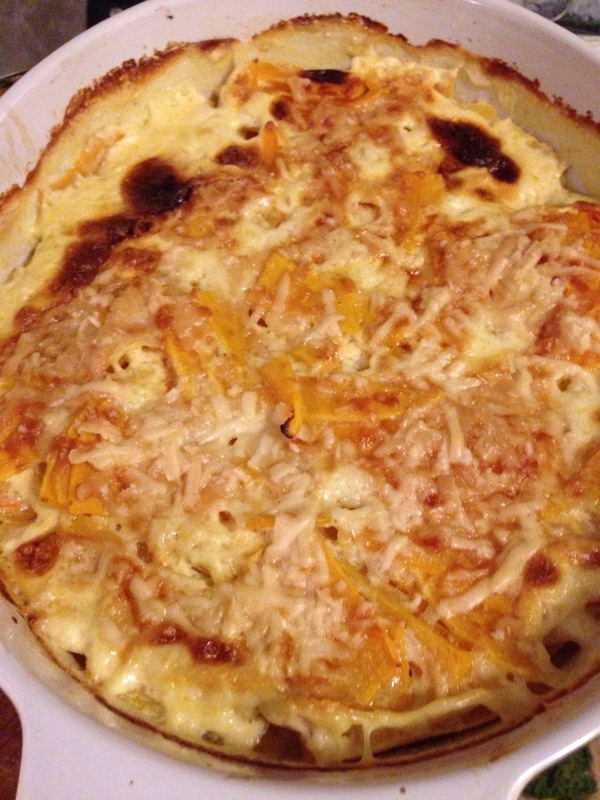 The picture here looks less than appetising – but the Butternut Dauphinoise that was the October recipe from the BBCGoodFood Calendar was really tasty. I did not have thyme, so I added rosemary instead. It’s really a cheesy side dish (works well together with either salmon fillets or chicken), that is perfect for the autumn.